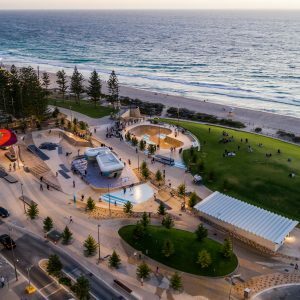 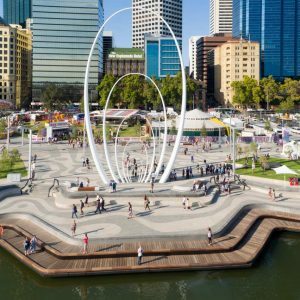 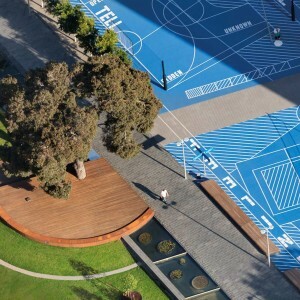 TCL has worked in collaboration with ARM Architecture on the design and documentation of Perth’s new waterfront – Elizabeth Quay. 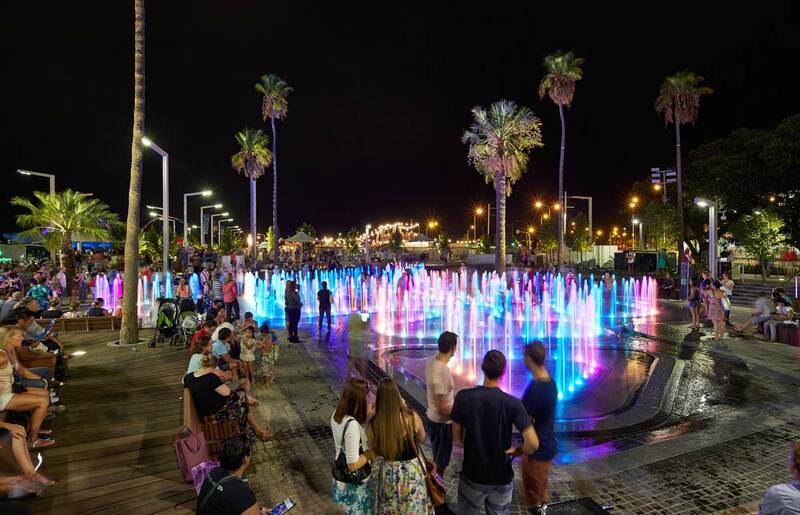 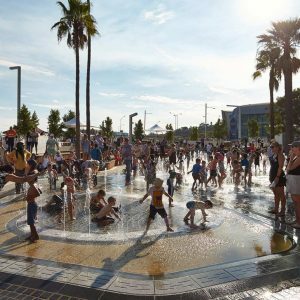 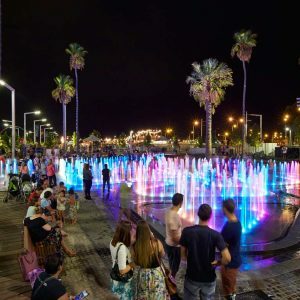 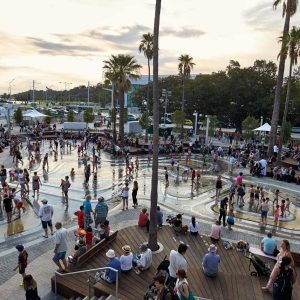 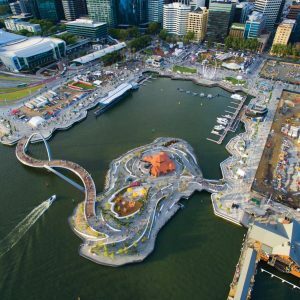 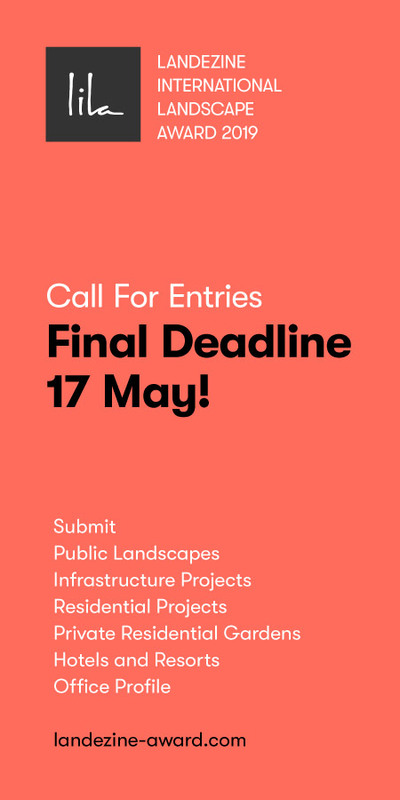 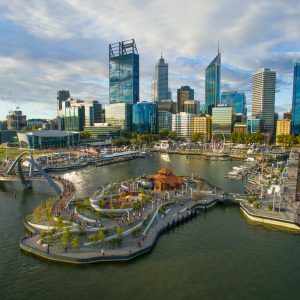 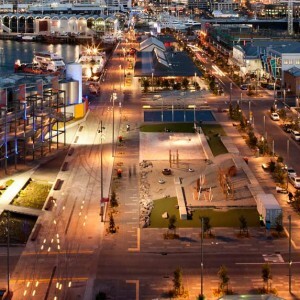 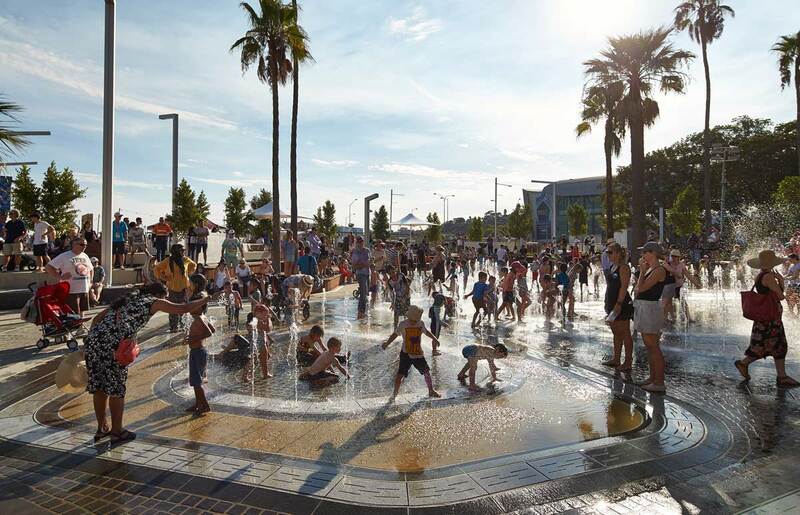 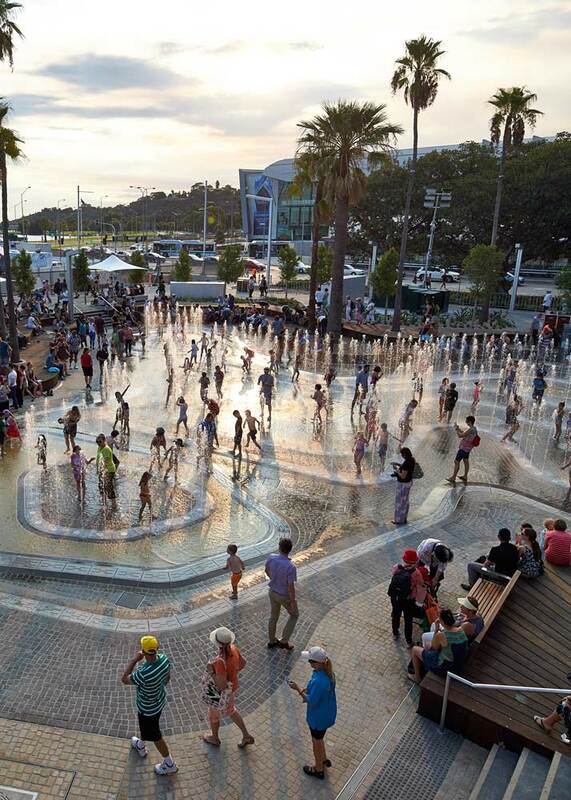 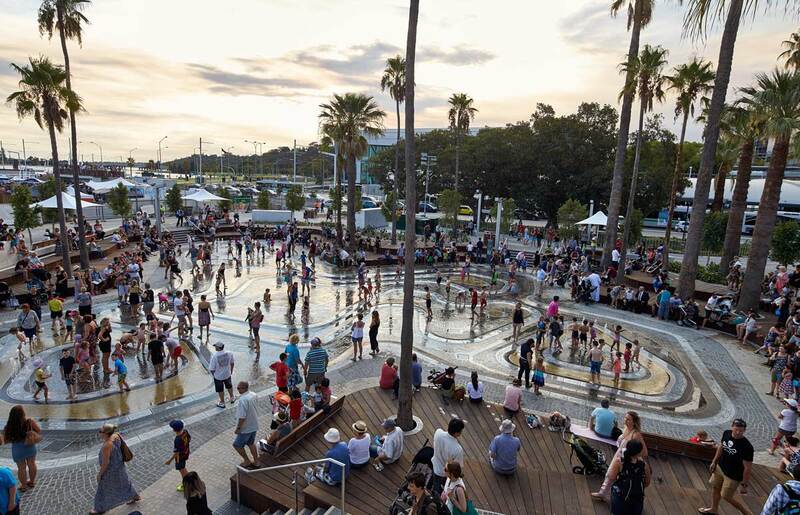 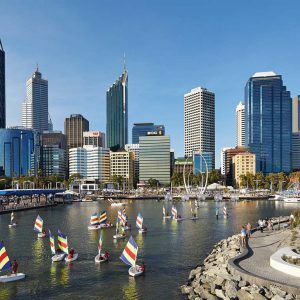 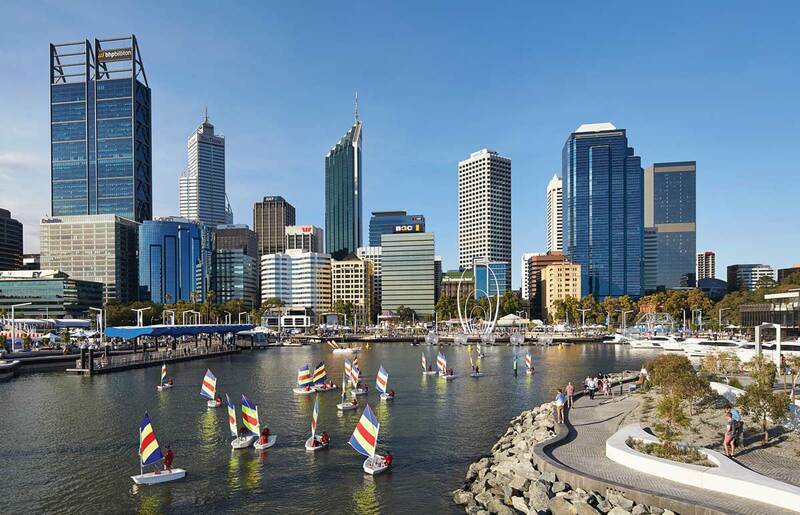 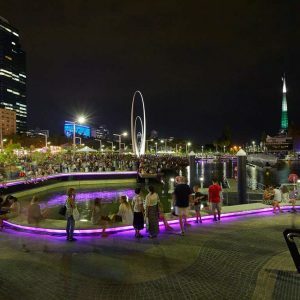 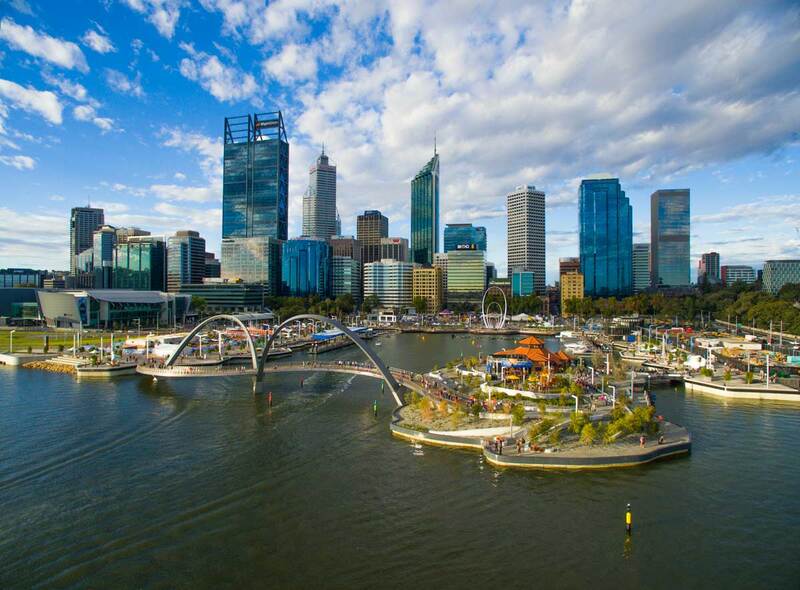 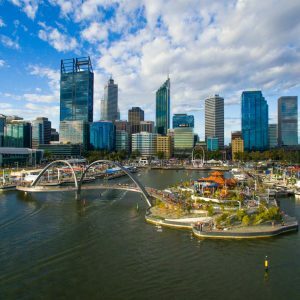 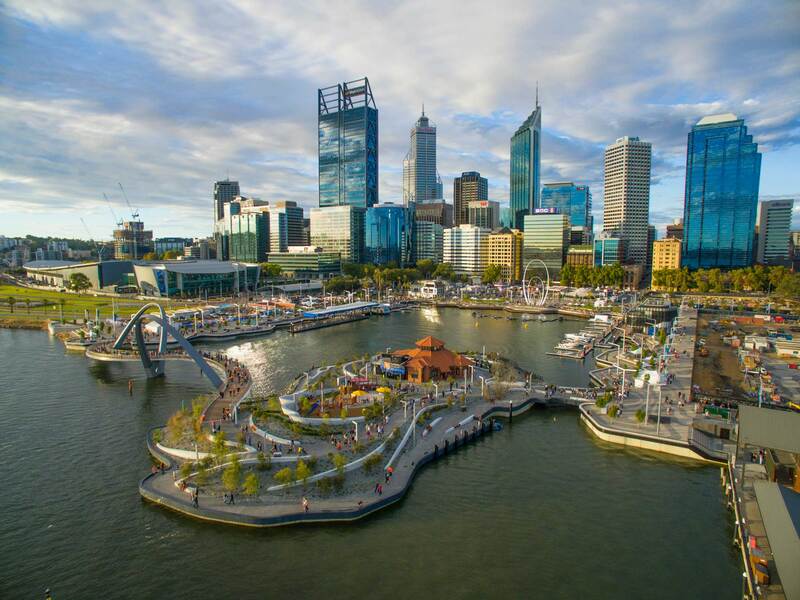 The design of Elizabeth Quay achieves the objective of re-establishing the historic connection between the City and the Swan River by returning the existing City grid towards the water and creating an inlet that brings water back to the city’s doorstep. 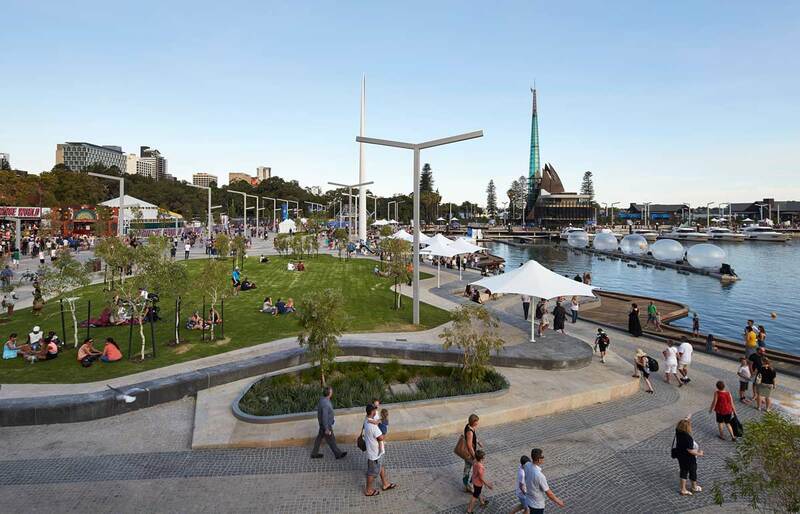 The large inlet surrounded by a split level promenade offers a diverse mix of urban sub-spaces allowing differing groups to engage in an assortment of activities including recreation, dining, play, entertainment and relaxation. 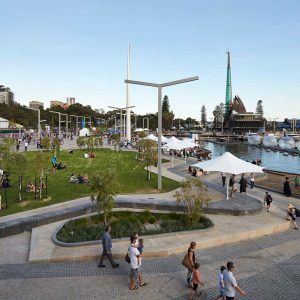 New development sites and supporting street networks frame the inlet and will house future buildings, including residential, retail, commercial and hotel developments. 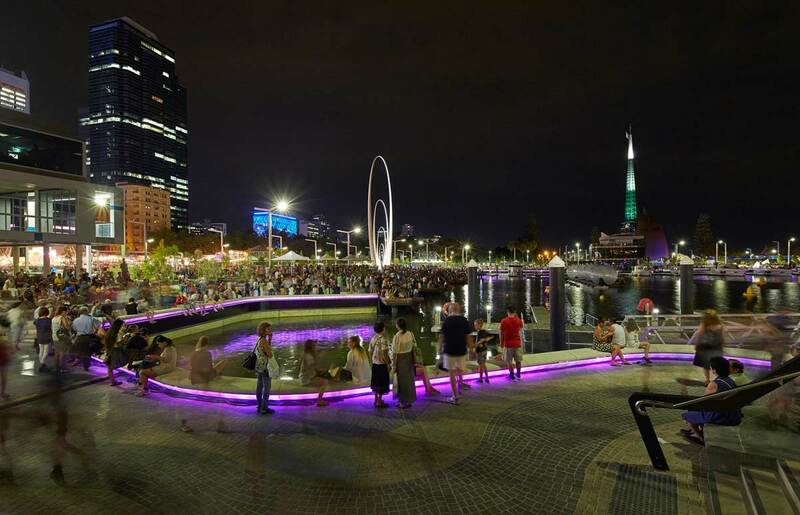 The promenade is accessible via stairs, inclined walkways and seating terraces which provide public access between the upper and lower levels. 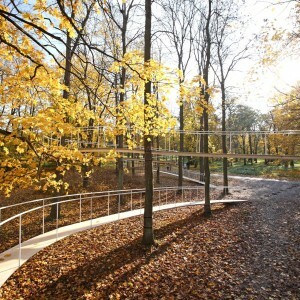 A strong definitive ribbon of trees flanks the upper terrace and marks the point of transition to the lower promenade. 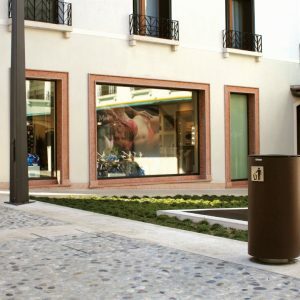 The promenades is paved with two stone types of contrasting colours that follow a dynamic paving pattern. 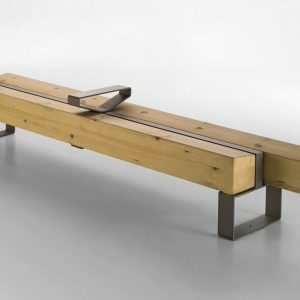 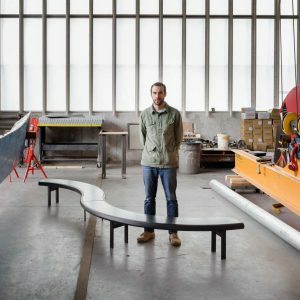 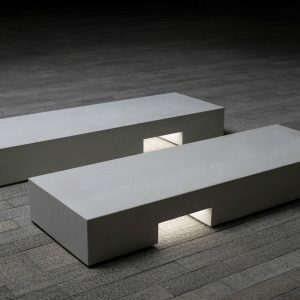 The edge is made from a series of components – a steel and urban art edge element with integrated lighting and mesh ‘splash decks’. 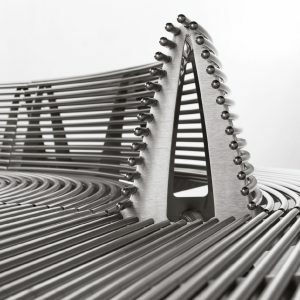 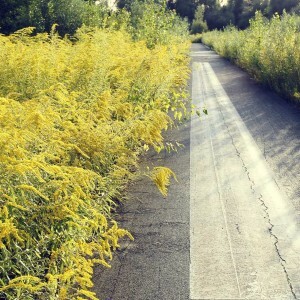 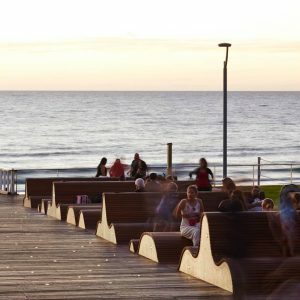 The continuously changing direction of the edge is driven from the generative patterning of the promenade. 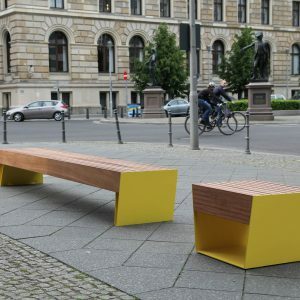 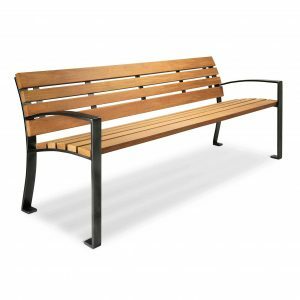 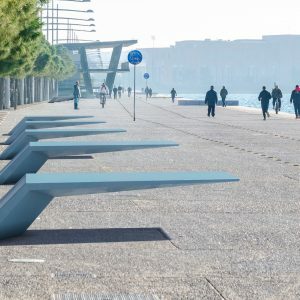 The urban art edge element provides a solid edge to the promenade, allowing crowds to occupy the promenade and feel secure that they will not fall into the water. 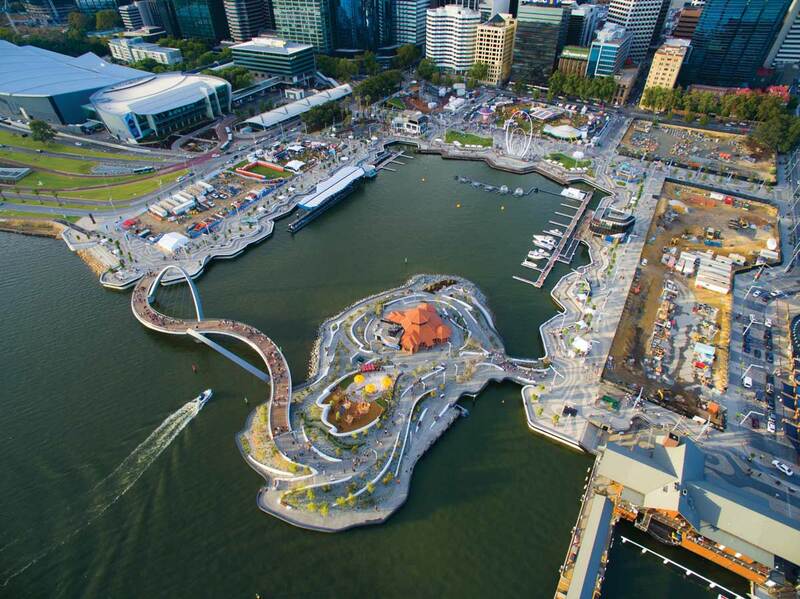 The landing forms the edge to the entire northern side of the waterfront inlet. 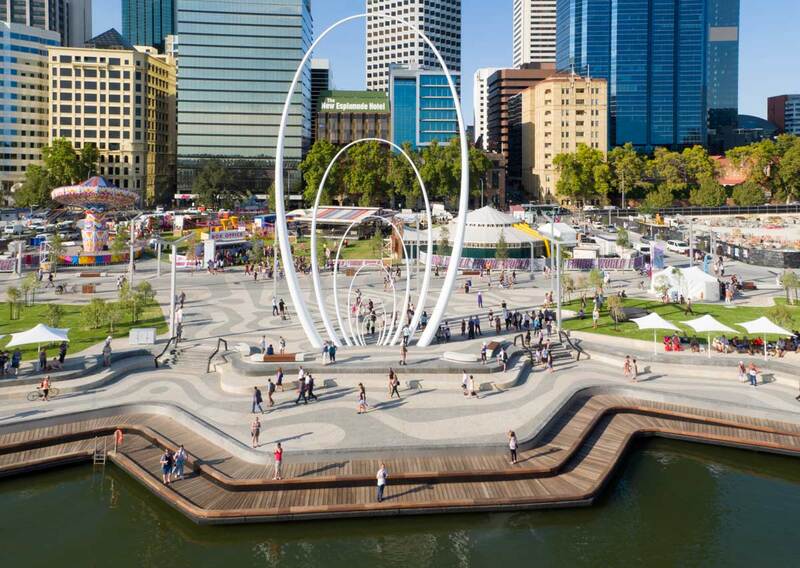 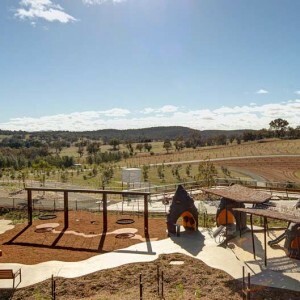 It is inspired by the idea of the original edge of the Swan River, an undulating and organic experience offering the opportunity to get right down to the water’s edge, which is decorated by boat moorings. 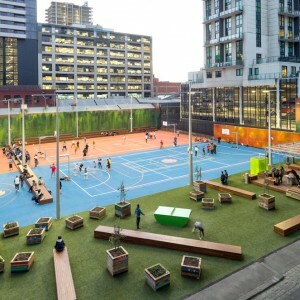 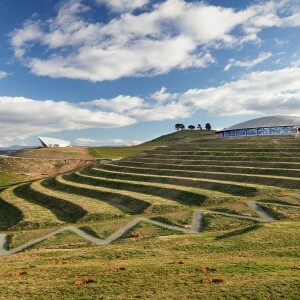 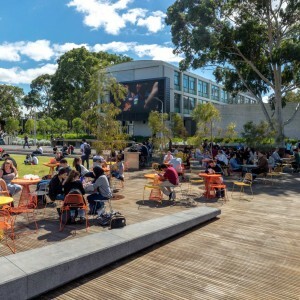 Behind these timber terraces is a dynamic event space, able to accommodate a range of public events including an outdoor cinema, temporary sporting exhibitions, performance tents, markets and various musical concerts. 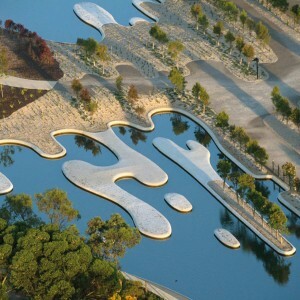 A new island has been created by excavating a section of land from the mainland. 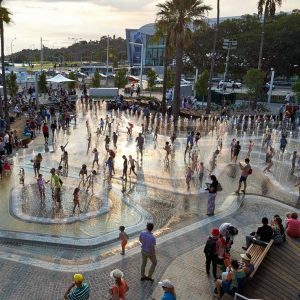 The Island is designed to be an engaging landscape experience for all visitors, a unique place to capture the youthful imagination of all, where opportunities to access and engage with the water distinguishes The Island from the promenade.